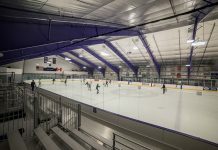 The Martha’s Vineyard Regional High School (MVRHS) girls hockey team was overwhelmed by fast-paced shooting and aggressive offensive play during Saturday’s home game against the Brookline Warriors, losing 3-0. Brookline started strong by scoring five minutes into the first period. Lauren Boyd was the shooter for the Vineyard team, but strong coverage by Warriors defenders made it difficult for her to get a chance. She was pushed back after a high wrist shot, and the action returned to the purple defensive zone. Vineyard goalie Amelia Simmons made a number of impressive saves in the first period, but the Warriors scored again with five minutes left on the clock. The second period was a back and forth between teams, with shots on goal on both sides of the ice. Brookline scored on a Vineyard empty net with two minutes left in the game, bringing the score to 3-0. The loss against Brookline sets the girls at a 3-12 record. 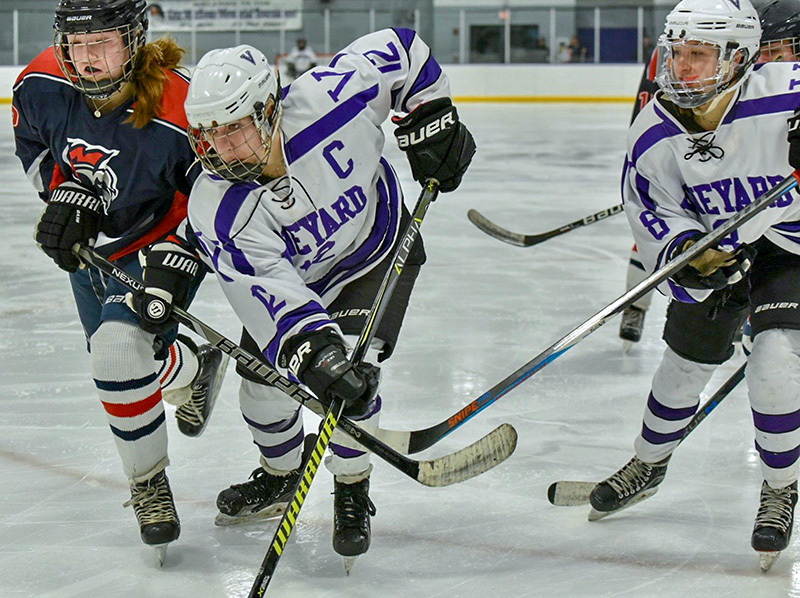 The Vineyard girls will head to the Hyannis Youth and Community Center on Wednesday, Feb. 13, to play the Barnstable Red Raiders.Their next home game will be against the Bourne Canalmen on Saturday, Feb. 16, at 1 pm at the MV Ice Arena.